Fort Wayne will soon celebrate the opening of a new riverfront park. 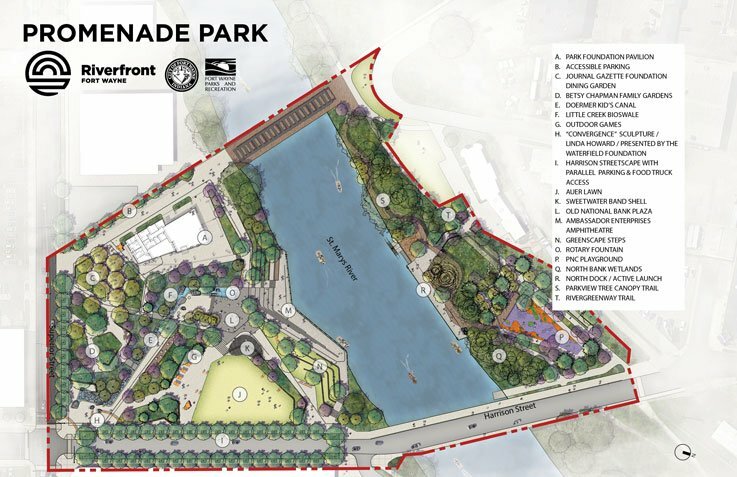 The completion of Promenade Park is the initial phase of an overall plan to revamp the Fort Wayne riverfront district. The park, which is anticipated to open in June, will feature a pavilion, amphitheater, canopy trail, kids’ canal, playground – and more. “Our community continues to work together to bring the Riverfront Fort Wayne vision to life and create a world-class point of destination that offers people ways to connect with nature, culture and community,” said Fort Wayne Mayor Tom Henry as the Promenade Park project moved into its final phases of construction. 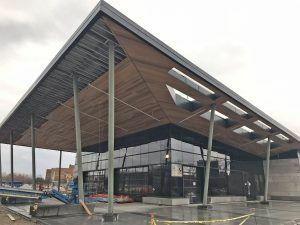 The city is currently planning a three-day grand opening for the park. “Visitors will experience a floating band performance, three community art projects, a lighted boat parade, a butterfly release and free boat rides. Plan now to join us. It’s going to be an once-in-a-lifetime event,” Henry said. Along with Promenade Park, plans also are in the works on a comprehensive riverfront neighborhood master plan, an analysis of infrastructure needs to support private development and designs for further improvements along the rivers’ edge.